Equine-assisted therapy (EAT) is just one more component of our holistic approach to therapy at Royal Life Centers at Sound. Our nine-week outpatient guests visit a local horse sanctuary during normal group hours to participate in therapist-led EAT sessions. These sessions may involve petting, grooming, caring for, haltering, and/or leading one or more horses. Guests do not ride the horses. Equine-assisted therapy has become a more common component of substance abuse treatment in recent years because horses are capable of mirroring human actions and emotions. This mirroring increases self-awareness, as well as a sense of recognition, in those who engage with them. EAT can also help manage symptoms of co-occurring disorders with substance abuse, such as PTSD, depression, and anxiety. Notably, horses are prey animals, so they are naturally sensitive to their environment. This sensitivity makes them particularly responsive to human cues. The animal’s sheer size can help guests learn to trust and overcome fears. Because horses cannot display or express emotions in the same ways that humans can, guests are able to build relationships with the animals without fear of judgment. The work done with horses can be used as metaphors for human relationships. 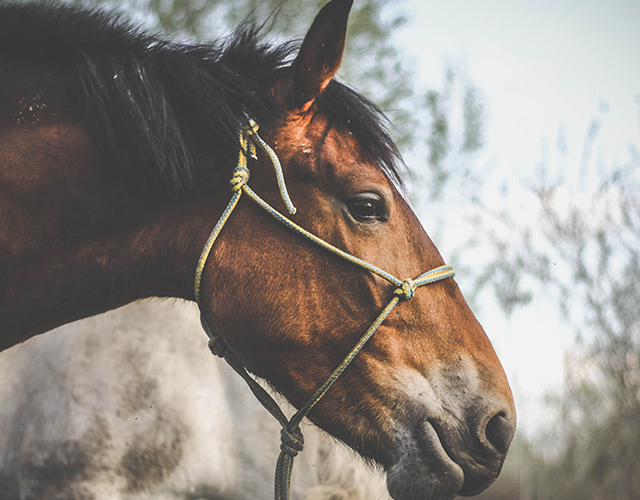 Interacting with horses can prove useful in treating substance use disorder because it can improve relationship skills, necessary to build a support network in recovery. Therapists guide guests in a variety of exercises and ask questions— Why might the horse react this way? How do you think you should reapproach the animal?— to encourage discussion and thoughtful consideration of emotions and feelings. The goal is that guests begin to better understand themselves and the relationship between mind, body, and self. Equine-assisted therapy can also be considered a form of adventure therapy, an experiential therapy meant to directly engage guests in their own treatment, so they can learn, for themselves, how to build a sound recovery plan for a life free of substance dependence. To learn more about our equine therapy program, please contact our admissions team, at (877)-RECOVERY They are available 24/7 to answer any questions you may have about any of our programs.